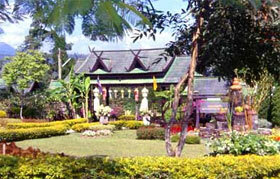 The drive to Pai can be ranked as the area's most scenic drive. 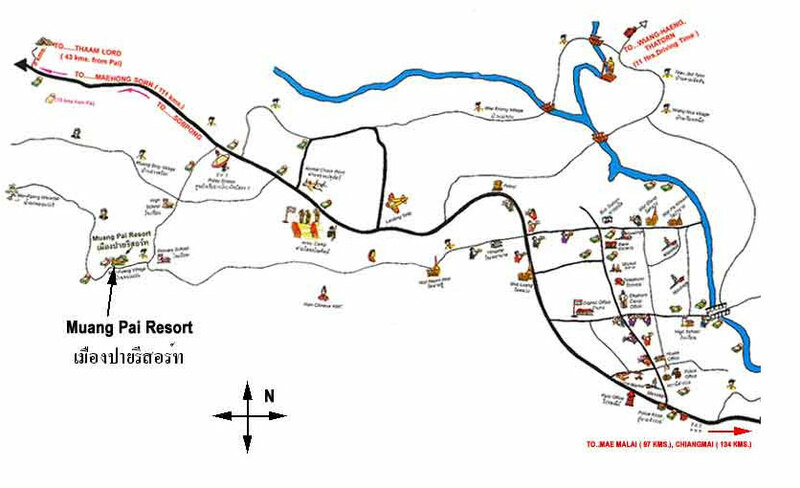 Following up and down mountain crests and past the Huay Naam Dung National Park, the smooth paved road is the gateway to the isolated nature where visitors can escape the speed and crowding of modern big city living. 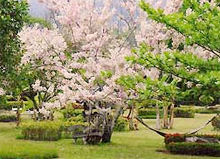 The drive's 130 carefree kilometers combine awesome natural beauty with pastoral views of : ricefields, mushroom farms, streams and family homesteads. This sanctuary of high vistas encompasses forests and wildflowers high above a patchwork of temples, villages, fields, and farms. 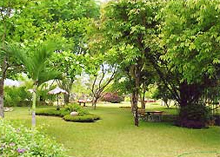 At Muang Pai Resort the great outdoors is all around you. 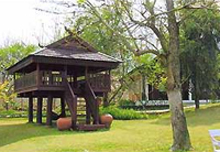 Comfortable, spacious teak cottages with complete furnishings include hot shower in private bathroom, TV and refrigerator. 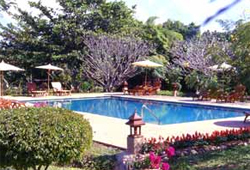 Enjoy our standard swimming pool. All these amenities make your stay so much more relaxing. The excellent restaurant serves up delicious food. The beverage list includes fine wines from around the world. Along with the panoramic view of the surroundings and the sound of the splashing stream, these meal times will be your most memorable ever.